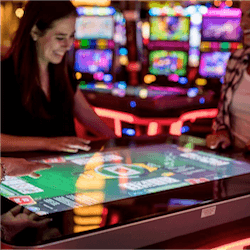 The casino industry has officially entered a different type of playing field: one where it tries to figure out how to keep its older patrons satisfied as well as attract a younger, more tech-savvy new generation of players. The crossing of generational divides has never been easy in any industry or discipline and the casino industry is no exception. According to Dave & Buster’s CEO, Stephen King, getting it right will be a matter of trial and error. King addressed the industry on Wednesday at the Global Gaming Expo, placing great emphasis on the fact that it was going to be an interactive process and that those wanting to tread down the largely unbeaten path had to expect varying degrees of success during the initial phase. King went on to say that those who will end up leading this particular leg of operations will be the ones who are willing to shoot the puck, as it were, waiting patiently to see where it ultimately ends up and what the reaction is from the target audience: the players themselves. Many companies have started doing exactly what King has suggested. Gamblit Gaming has officially announced its PAC-MAN Battle Casino game to attendees at the G2E and Synergy Blue will be coming to the table to promote its Hybrid Arcade Wager-based gaming system (HAWG). Synergy Blue’s opening argument includes a first-person shooter game – with more of the same to come in the form of fantasy, sports and racing games. Companies are pushing the skill-based gaming model based on broad-based market research showing that passive games of chance are not a thing with younger players. Younger players show little to no interest in games that require no cognitive input in the way of strategy. The idea hasn’t yielded the expected results so far, with many of the initial projects that were rolled out having been withdrawn from casino floors shortly after. However, those in the know are sticking to their guns on this one: skill-based games are the way of the future. 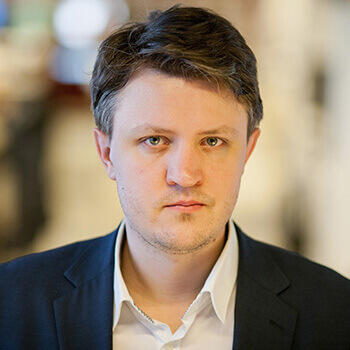 GameCo’s CEO Blaine Graboyes expects the US skill-based games market to be worth considerably more than what it is at the moment in five years from now. Graboyes foresees an income revenue growth of up to $4,2 billion US Dollars. He went on to say that it was for this reason that GameCo planned to continue developing new titles and ideas – with as many as 2 new titles per month proposed for 2018.